Our limoncello cocktaill keeps it sweet and simple: Just three ingredients are all you need to create this pucker-worthy refreshment. 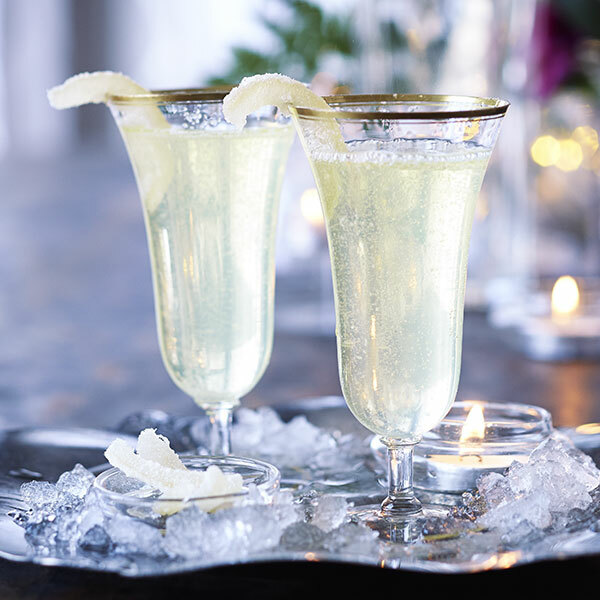 To make things even easier, this light and lemony cocktail recipe is perfectly portioned to top off two champagne flutes, making it the just right for toasting your togetherness. Divide limoncello between 2 champagne flutes. Top with prosecco and garnish with candied lemon peel.